This year has flown by and I can’t believe it’s time to start thinking about Christmas gifts! If you’re a travelling family or are buying for frequent flyers or Christmas gifts for overseas family, here are some of our top gift recommendations for those special jet-setters in your life, or just little people who’re interested in finding out more about our big wide world. A suitcase that’s also a scooter?! This is so perfect for travelling families with 3 to 8 year olds. You could use it at the airport as well as getting around once you reach your destination. It’s amazing how it folds right down and best still fits in the overhead luggage compartment on aircraft. There are several designs available. 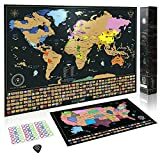 This cool map allows you to track your world travels as you explore the world. Kids will love marking off where they’ve been – or where they aspire to travel to at some point in the future! 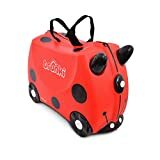 We’re massive Trunki fans, and this ride-on suitcase is the perfect way to transport tired kids around the airport, or give them a seat wherever you are! It’s also great for stashing all their bits and pieces in on long-haul flights. We’ve used them on 24 hour long-haul flights to Europe and they’re perfect. A range of different designs are available – click through to see them all. We bought this book for our kids last Christmas and they love it. We read it several times a week and they really enjoy choosing which country they want to read about at bedtime. 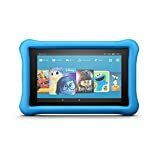 A tablet is a must-have for kids on the road and these cost-effective Kindle Fire Tablets are perfect – we’ve had ours for over two years through 25 different countries and they’re still going strong. They can be used hassle-free throughout the world in terms of accessing apps and the internet and are a perfect cost-effective option for kids. Tried, trusted and highly recommended by us! This one is going to be up high on my kids’ wish list! 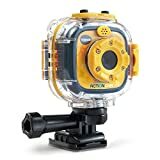 This V Tech Kidizoom is an action camera specifically designed for kids. It’s waterproof to 6ft and you can also attach to bikes and skateboards, how awesome is that?! Available in various colours, click through to see more. Travel games are a must have for long bus and train rides, waits at the airport, camping and times where you don’t have any internet access! 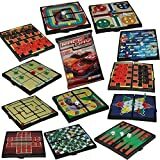 This cool set has classics including checkers, snakes and ladders and Ludo. Plus it’s all magnetic so you won’t lose any of the pieces. 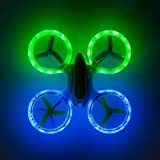 A drone suitable for kids is perfect for any travelling child. Now the price has come down, it’s feasible and fun for your kids to start learning to use a drone to take some epic shots on your travels. 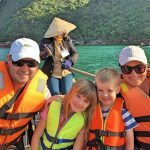 In our experience, kids love to document their travels and make a note of all the amazing places they’re visiting. This Travel Journal from Lonely Planet is perfect for them to record all their epic adventures. This art set is the same size as a passport – perfect for creating in-flight masterpieces. 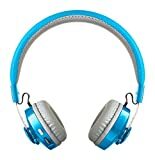 Wireless headphones are a must-have for doing schoolwork via a tablet or for when your kids are having screentime on board trains, planes and automobiles. No wires means no more annoying untangling sessions! For the unicorn fans in your life, this cosy travel pillow is perfect for long car trips and flights. 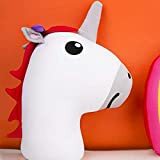 It flips from a unicorn to a rainbow travel pillow – squee! 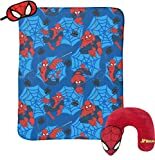 Spidey senses will tingle with this fab travel pillow and blanket combo. These are absolutely going in our kids Christmas stockings (I sincerely hope they aren’t reading this…!) 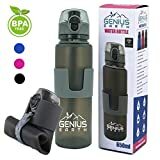 Genius foldable water bottles are perfect for travel – they’re lightweight, foldable which is perfect for saving space, and made from BPA-free silicone. They’re easy to clean with no stinky odours and a great leak and dust proof cap – I’m sold! This is another great mash-up of a high sun-rated protection swim shirt, with floatie arm bands that attach to the shirt to keep kids both sun and water safe. Here’s a list of top travel gifts for the globetrotting Mum, Sister, Aunty or BFF in your life. This super cute vanity case is perfect for the travel fashionista – not only is it a gorgeous design but they’re made from robust shock resistant polycarbonate and come with a five year guarantee. 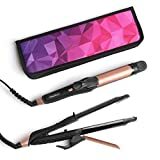 No need to compromise on what makeup and accessories to travel with when you have one of these! I need these in my life! Designed by a commercial airline pilot, they’re perfect for transporting bottles of wine in your luggage without worrying about it breaking in transit. Great for those visiting any wineries in the near future. 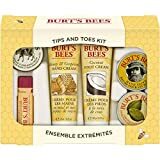 The wonderful Burts Bees range comes in a travel size containing a Cleanser, Day Lotion, Deep Cleansing Cream, Body Lotion, Foot Cream and a Hand Cream. Everything you need for adventures on the road without the fuss. 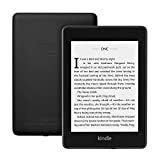 I love reading paper books, but I would be truly lost without my Kindle on the road. Forget carting around heavy books, you can simply download everything onto the one device. I’ve found it super easy to download books even in places with seriously bad internet in South East Asia. I can safely say this is one of my travel essentials! I’ve been coveting a Blunt umbrella since forever. Everyone I know who has one swears by them, and I reckon they’d be perfect for travel. So do someone you love a favour and get them one this Christmas! This uber cool New York vibes passport cover not only protects your most precious travel document but also has space for your credit cards as well. Such a well thought out piece of travel kit! Karen Walker is a New Zealand icon and makes seriously cool sunglasses. They’ve been worn by the likes of Kylie Jenner, Meghan Markle, Le Bron James, Adele and Beyonce. Buy any travel loving gal a pair of these and she’ll be in serious ‘A List’ company. 2018 has been the year of the kimono, and they’re a great gift for any travel loving lady because they’re so versatile. Either team with a pair of cut-offs and a singlet for a stylish around town look, or pop one over your swimsuit as a cover-up. Instead of buying things, why not gift someone an experience this holiday season? We love ‘Get Your Guide’ who have tours and experiences on offer all around the world. 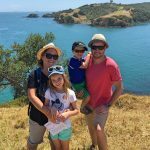 We’ve used them to book a kid-friendly guided tour of the Colosseum in Rome, Universal Studio tickets for Hollywood and recently an amazing tour on a live volcano in New Zealand! You can browse and check out all the experiences on offer here – just click on the link below and type in the city you’re interested in via the search box. A good travel dress is a must-have for adventures on the road. Dresses are great for travel as you can bling them up, or wear them at the beach with your flip-flops. I love this Royal Robbins travel dress – it’s comfortable as well as practical, has a UPF50 sun rating, anti-stain technology, a hidden cellphone pocket and hidden zipper pocket. I love this bag so much – it’s the exact one that we’ve travelled through 25 countries with and it’s as good as new. 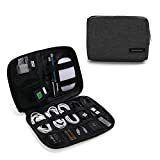 It’s full of travel technology to protect your stuff like RFID theft protection, hidden wire mesh to prevent slash and run and lots of locking functionality to stop pick-pockets. Some of our blogger friends have written some INCREDIBLE guide books that have come from in-depth knowledge and travelling all over or living in these destinations. These are well worth gifting to someone you know that’s visiting any of these places – true insider tips rather than bland generic off-the-shelf guidebooks. Alternative Travel Guides from Zigzag on Earth – Claire has an amazing series of road trip itineraries for destinations like Iceland, Portugal, Scotland, Corsica, Oman and more! Paris Insider Guides – Elisa has amazing Paris knowledge and a series of great guidebooks including the best bistros in Paris, a Paris treasure hunt and the Smart Louvre Kit (get the most from the Louvre in 2 hours). Carolyn has created a fabulous guide to Stress-Free Driving in Europe. She has a deal of 30% off using the code BF30 valid until Monday 26 November. 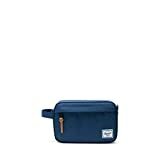 Passport Amigo – Here’s a great idea, a passport travel wallet set that lets you collect small momentos of a trip as you go. Check it out here. Alice from Teacake Travels has a great selection of cool travel clothes and accessories, perfect for explorers with attitude! Check it out here. Amanda has an incredible blog all about Morocco, but she also has a company that runs AMAZING food tours in Marrakech and surrounds. There’s a special 10% discount off gift vouchers until the end of December 2018, use the code BF2018 and you can book here. Sounds on the road are a must-have, and we’ve carried a UE Boom all around the world with us. These ones are even more awesome because they’re shockproof and waterproof, perfect for global adventures. These stylish yet durable toiletry bags come in a variety of designs and are made to last. Cords, adaptors and chargers everywhere is one of our travel bugbears. These practical electronics organisers are the answer to keeping track of all your cords and avoiding spaghetti junction in your suitcase. There’s nothing worse than blisters when you’re out in the wildnerness or just urban exploring. These Thorlo socks are the best out there. 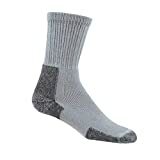 We love them because they’re clinically proven to reduce blisters and reduce moisture AKA sweat. And less stinky socks while on the road is good for everyone, trust us! We’ve been travelling for 20 years and take a Swiss Army Knife on every trip we go on. OK mostly for opening bottles of wine and cutting up camembert on French impromptu picnics, but the scissors come in handy and the tweezers have been used to remove sea urchin spikes from a foot in Croatia. True story. 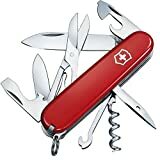 Victorinox are the best, and with a 5 star rating and 1,500+ reviews you can’t go wrong. Featuring communist bunkers, burning gas craters and at least one sponge-rock fluorescent grotto built by Polish monks, this book reveals weird and wonderful sights the crowds don’t reach. Perfect for that off-the-beaten-track explorer. We’re a Birk-loving travel family that’s for sure. Check out any of our photos in hot places and you’ll generally see us with them on. 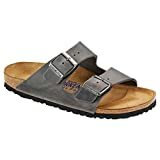 Tough, practical and comfortable, and they don’t get stinky like some of the travel sandals out there. These are the exact model that Mike loves. A good pair of sunnies are a must when travelling, especially when heading to a tropical paradise. These Rayban Aviators never go out of style. Duffel bags are so handy for weekends away to exotic places. Just throw your clothes in and go. These Ted Baker ones are super stylish and practical and come with a five year guarantee. I think this is #1 on our wish list for next time we go travelling. To truly capture epic adventures at home and abroad, you need a GoPro in your life. Repeat – not want, need!! 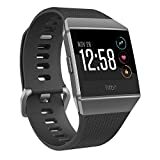 Mr Our Overseas Adventures had a Garmin and it sadly died after less than a year…this is his pick on his wish list for a replacement! A good backpack is a must-have when on the road. We love the Deuter brand of backpacks and this one is perfect. Deuter bags are lightweight, comfortable with a padded back and breathable mesh to stop sweaty backs in hot climates. 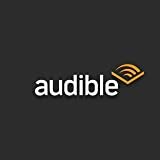 An Audible subscription is perfect for the everyday commute, long road-trips or chilling out by the pool. Audible is the world’s largest library of e-books with topics suitable for every passion. Hydroflask bottles are fabulous for the guy on the go. They keep water cold for up to 24 hours and hot liquids up to 6 hours. They fit most bicycle and automotive cup holders as well and are completely leakproof. Drones are the hottest item in the travel world at the moment, and we’ve got major envy from some of the amazing photography and video we’ve seen out there taken by drones from other travel families. I’ve asked around and it seems the drone of choice for travel is the DJI Spark Portable Mini Drone. Hopefully you’ve found some gifts here for the travel people in your life – or even a sneaky present to pop under the Christmas tree for yourself! Disclaimer: Our Overseas Adventures is a participant in the Amazon Services LLC Associates Program, an affiliate advertising program designed to provide a means for sites to earn advertising fees by advertising and linking to amazon.com, and the Amazon logo are trademarks of Amazon.com, Inc. or its affiliates.